Yes, they made a #3. The very first one was Japan only and had very few pokemon. 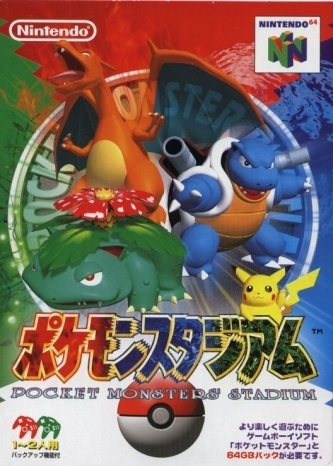 Then they did a sequel (which is Pokemon Stadium 1 to everyone else) with all of the 151 Pokemon. The 3rd one is Pokemon Stadium 2. I don't know if I sould add this one or not. I'll look for Pokemon Stadium 1 just to be on the safe side. 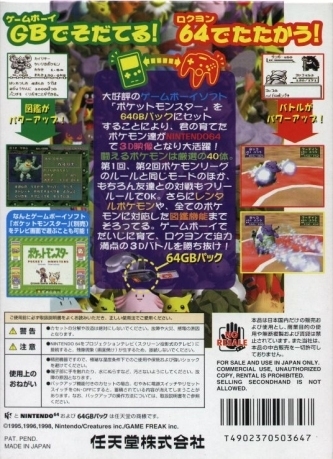 Pokémon Stadium 1 in Japan = not released in the rest of the world. Poké Stadium 2 in JAP = Poké Stadium 1 in the rest of the world. Poké Stadium 3 in JAP = Poké Stadium 2 in the rest of the world. 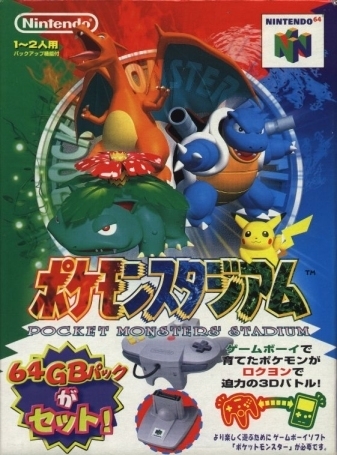 The ideal names would be "Pokémon Stadium JP", "Pokémon Stadium" and "Pokémon Stadium 2". I didn't know they made a 3rd game! If you look at the chart, all sales of this game are attributed to Japan. 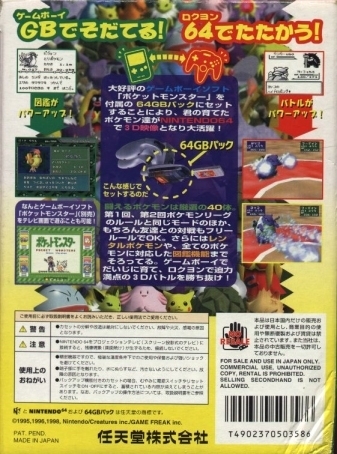 Pokemon Stadium 3 was the Japanese release of what became Pokemon Stadium 2 in the States.